Ruby Rose has been promoting her new film 'The Meg' and yesterday evening(August 6th) she attended a premiere for the film at the TCL Chinese Theatre in LA. 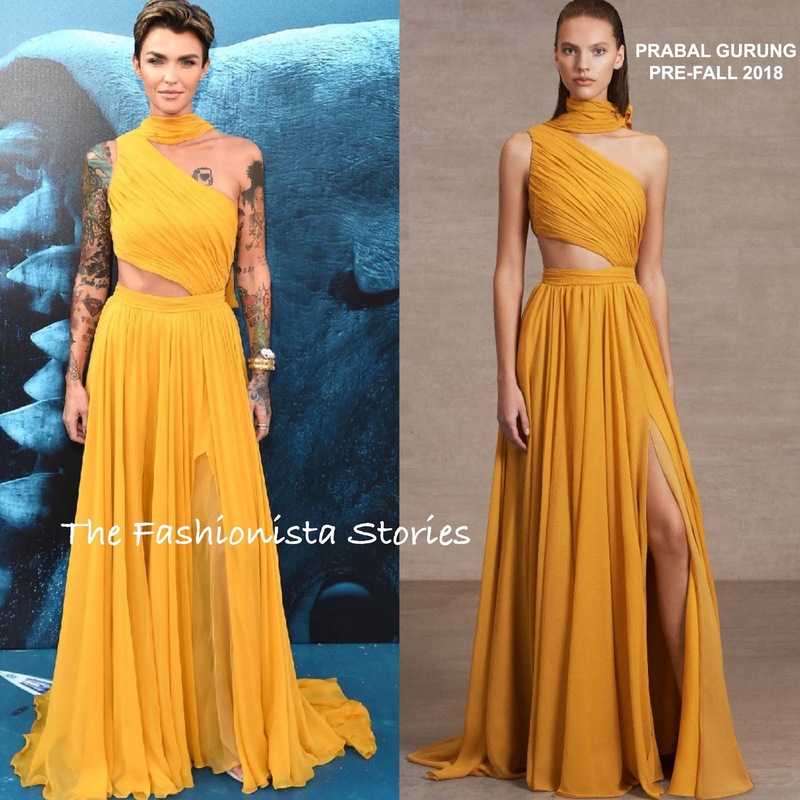 Standing out in a bold hue, she wore a PRABAL GURUNG PRE-FALL 2018 ochre yellow asymmetrical draped goddess pleated gown, featuring a flirty cutout waist & split. I kinda wish a colored lip was added here or maybe colored stone jewelry. Also while the tattoos are great, they steal the spotlight from this gorgeous gown. However even though the model is selling the gown more, it doesn't look bad on Ruby. She finished up with BULGARI jewelry and STUART WEITZMAN sandals. Did Ruby win you over in this yellow hue?